13 August 2008, at 11:10a.m. Meriden sponsored the winners of the poultry classes with a free bottle of their 100% natural supplement, Orego-Stim® Smallholder. Nina Peake from Meriden Animal Health Ltd attended the Nantwich Show 30th July to support Labtec, one of Meriden’s agents. Meriden sponsored the winners of the poultry classes with a free bottle of their 100% natural supplement, Orego-Stim® Smallholder. People were able to claim their prize by visiting Labtec’s stand opposite the poultry tent. 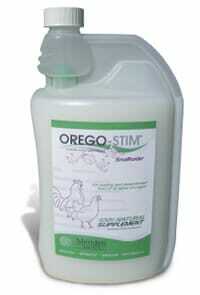 Orego-Stim® Smallholder is suitable for use in all types of animals found on a smallholding, including poultry and domesticated fowl, pigs, sheep, alpaca and goats to name a few. Added daily to the drinking water, Orego-Stim® Smallholder cleans and replenishes the gut lining and helps to maximise intestinal health, as well as boosting immunity and reducing stress. Being 100% natural and certified as organic by Organic Farmers and Growers, Orego-Stim® Smallholder is suitable for use in all kinds of farming systems. In total, over 150 bottles were donated. With the product’s RRP being £25.00, everyone was delighted with such a generous prize. One lady commented how nice it was to win something that can actually be used and that will improve the health of her birds. Runners up were awarded a half price voucher which they could redeem at the show or at a later date.